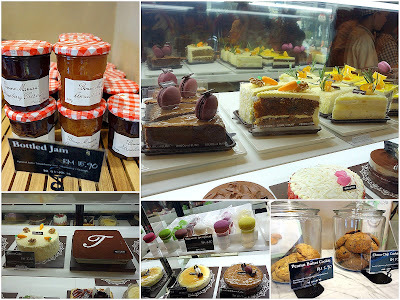 This 'French-Asian bakery-cafe' franchise with branches in South Korea (its birthplace), China, Vietnam & North America finally debuted in Malaysia this weekend, opening its maiden outpost in Bangsar's bustling Telawi terrain. It's a (bread) banquet for the senses: Wholesome scents rise from soft-to-the-touch pastries that will likely taste every bit as fresh as they look. Much of Tous Les Jours' acreage is allocated to its wares, leaving scant space for indoor seating. Scarcely a table or two inside were available this afternoon, as the haze, heat & humidity spurred customers to shun the cafe's alfresco area for air-conditioned solace. This is one satisfyingly stocked bakery, complete with everything from 'pain de campagne,' the French sourdough country bread, to cheese-laced 'kipferl,' the Austrian ancestor of the croissant. It's the stuff they whisper fearfully about at Carboholics Anonymous meetings: Ready-to-go sandwiches, financier cakes, sweet potato pies, butter-honey rusk biscuits, walnut pound cakes & so much more, maybe too much more. 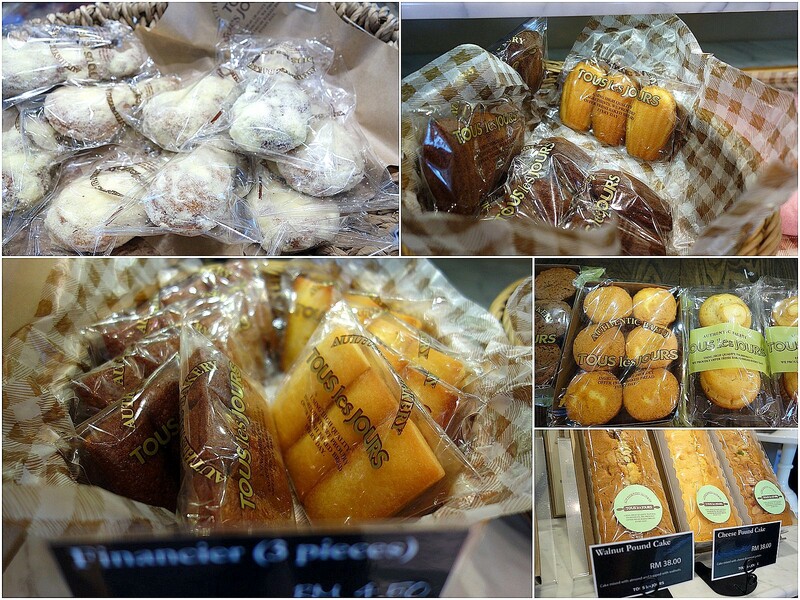 Cheese cakes, carrot cakes, strawberry & apricot jams, as tempting as any apple in Eden. 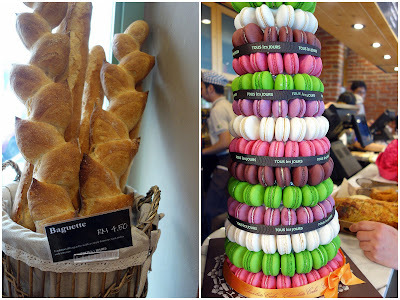 A bouquet of baguettes, a monument of macarons, both standing tall at the payment counter. Recommendations? 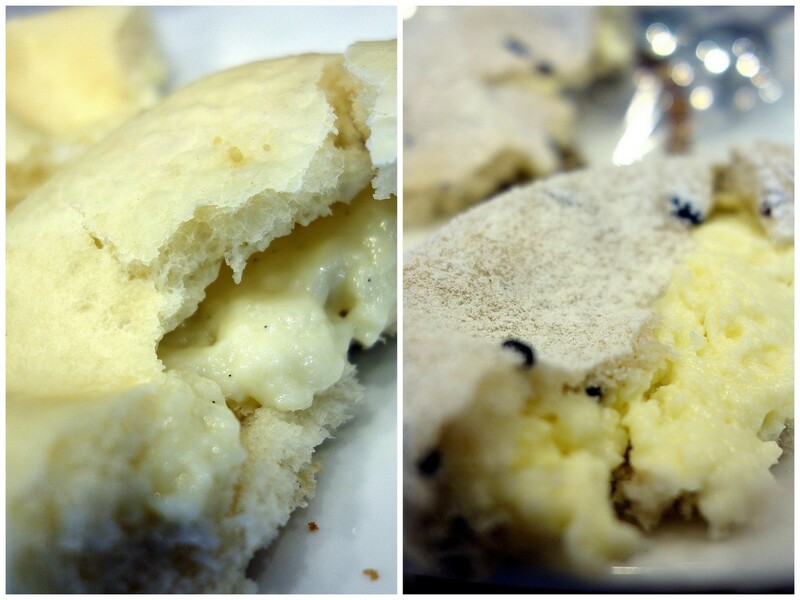 Try the milky-fluffy signature flat buns, including one made with Korean black rice & glutinous rice flour, filled with cream cheese. Up to RM4.80 apiece. 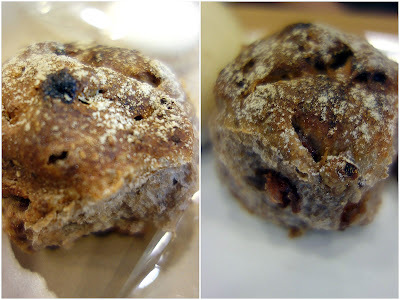 Crispy-crusty scone-like creations (RM3.80), brimming with cranberries & nuts. Peanut butter alert! Irresistibly sweet-savory, sticky-chewy cookies (RM2.90), blessed with a straight-from-mama's-oven feel. Exactly the way the cookie should crumble. 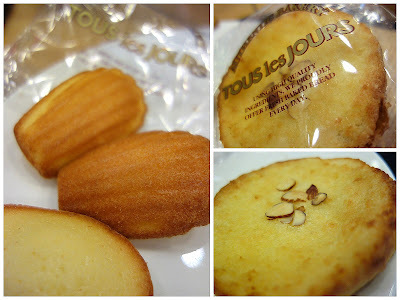 Fragrant madeleines that might have made Proust swoon (RM3.90 for three), plus buttery-custardy 'bostock' brioches (RM2.90) topped with almond cream. The hits make up for the misses: A 'devil's food' dark chocolate cake (RM9.50) proves less sinful than expected, but the dark chocolate macaron (RM4.50) is richly remarkable. 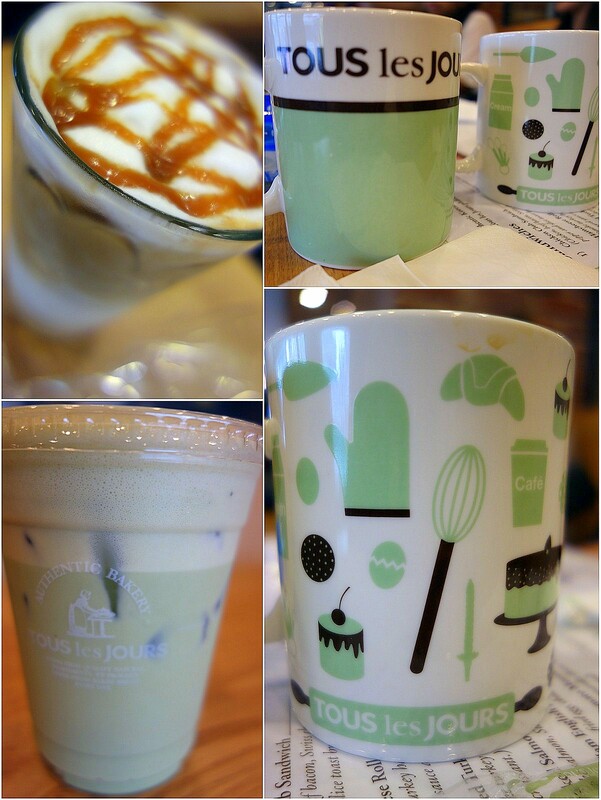 Green tea lattes, caramel macchiatos, all acceptable but not the highlight here. Service is encouraging; some patience is needed, particularly at peak hours, but it's clear that the team here is trying its best while maintaining a cheerful steadiness. 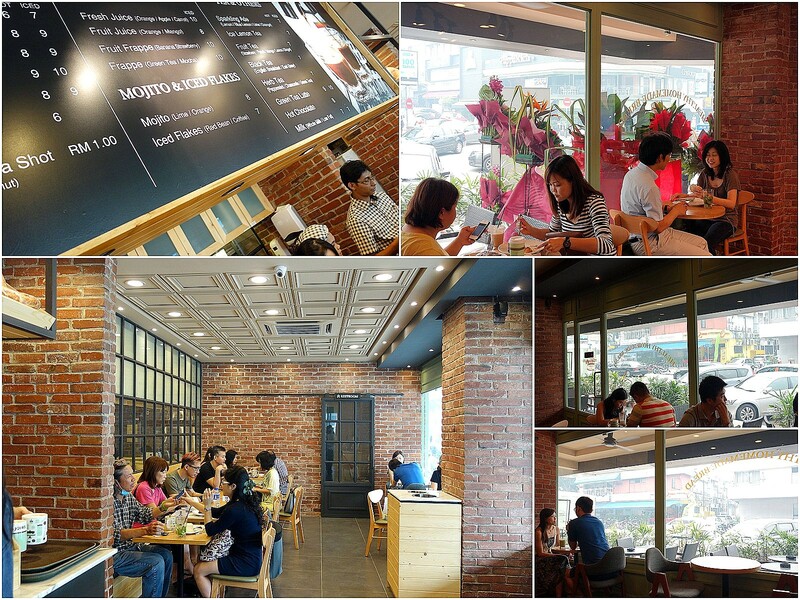 All in all, a better-than-anticipated addition to Bangsar, destined to become a hot destination. December 2013 edit: Tous Les Jours now has a second branch at Wolo Hotel, Bukit Bintang. Looks nice but service has much to improve. Too expensive for plain normal sandwiches and pastries. YEAY! another bakery for me! I think biz at Yeast would be affected slightly. OPEN already!!!!!!! i am waiting this! tried their bread when i was in Seoul last month, they are really good! i wish this branch in malaysia will maintain the quality! Aiks... Cikgu! You're here too! I guess you\ll be wherever good food is! LOL! Hi there. My first time in your blog. Came here through Rebecca's blog. =D I definitely wun mind buying a few of those baguette... I'm a big fan of those! I'm really happy seeing the title on my feeds. When I read it, I'm excited...this is awesome. is the macaron tower for sale? or just for deco purposes? Would certainly be a new camping ground for my carboholics pals and I. So much for hoping to cut down on my wheat intake...this place is making it almost impossible when its so near to home! Ooooo! I saw this as I was driving by yesterday and made a mental note to check it out. Now I just have to! Did you try their croissants? I'm on the hunt for the best croissant. Saw this when I was in Manila few weeks back but didn't have time to check it out. 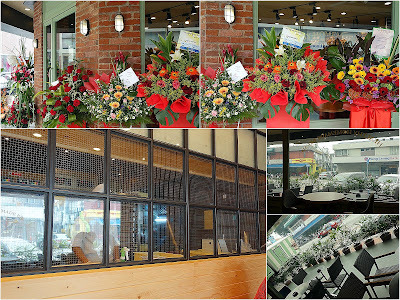 Good to hear it's opened now. Hi. 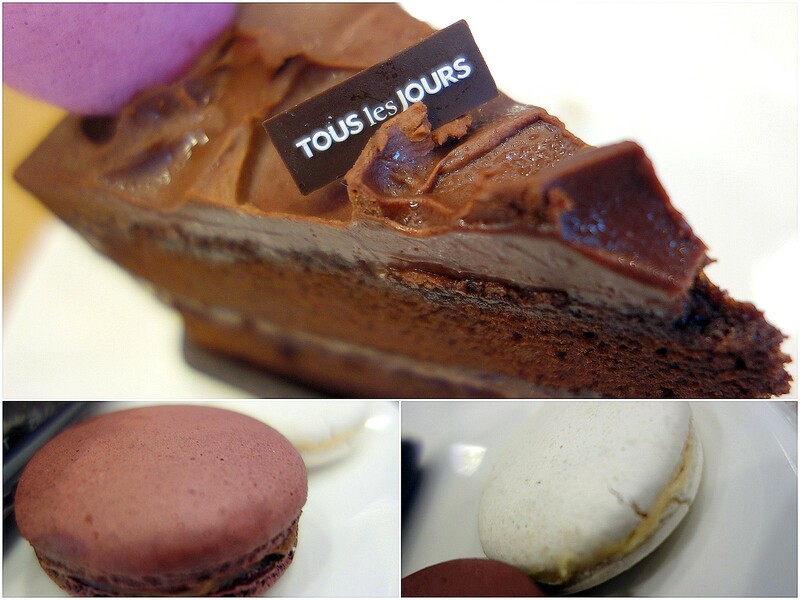 Congrats for opening Tous Les Jours in Malaysia. I've known about Tous Les Jours because of Eunhyuk Super Junior. May i know is this halal? Thank you. =) But how can we go there if we use public transport? Hi there...looking for a quick birthday cake for office colleagues monthly birthdays. Any suggestion of which cafe/bakeries in Bangsar that have good yummy cakes? Thanks!! 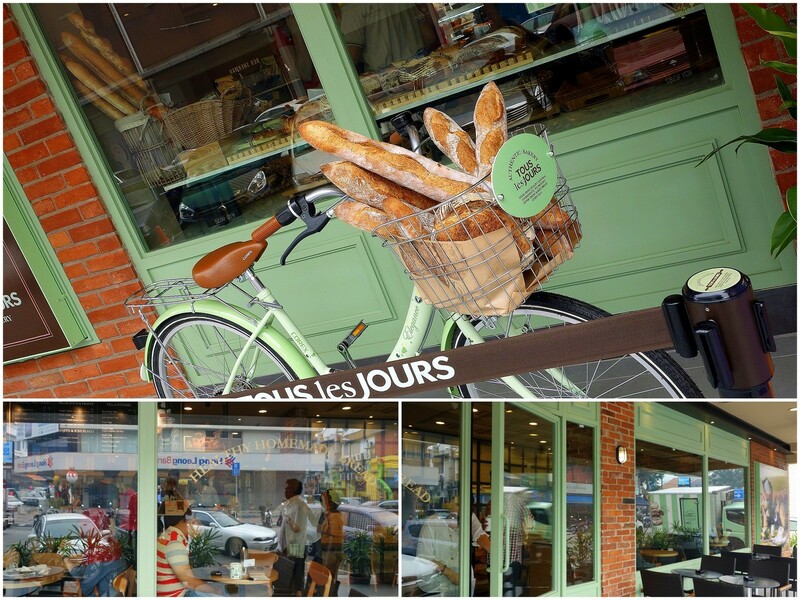 wow... this bakery looks really nice. finally open branch in Malaysia!!! I want try outt!!!!! Croissants were average. 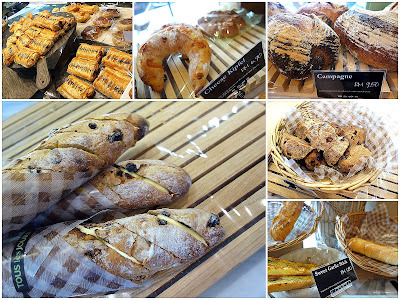 Can try the almond croissant which is better and super cheap compared to other bakeries. Coffee also average. Nice Madeleines.